The power of digital disruption is so immense that it now sits on the top priority list for almost every executive. Whether the threat comes from new digital natives entering the market, traditional competitors upping their digital quotient, or other markets using a digital channel to launch a competitive offering. On the flip side, as GE is demonstrating, the opportunity for growth is equally immense. 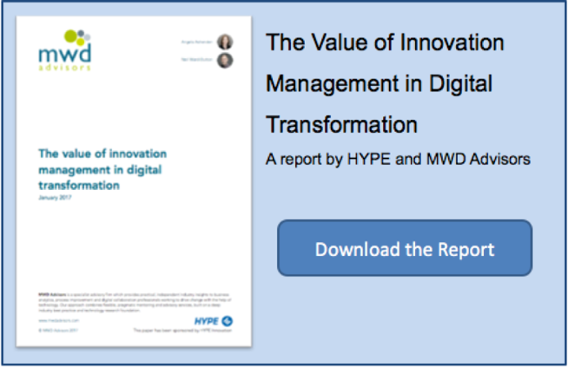 In a new report by HYPE and MWD Advisors, we looked at the role that innovation management programs can play in helping companies to make this transformation. 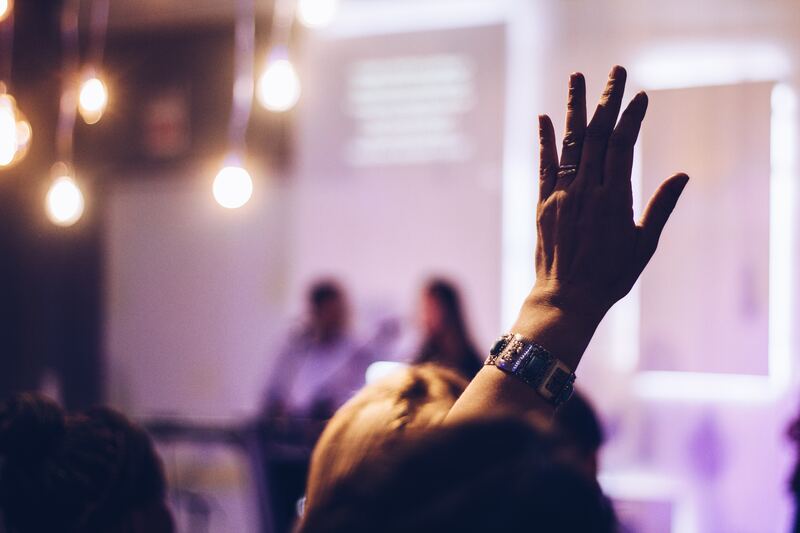 Large organizations must first determine what digital transformation actually means to them and their organization, and to help shape the language and message so that everybody is on the same page. As with any buzz term, innovation included, solidifying the understanding is crucial before making a successful transformation. When HR and Communications leaders talk about ‘doing digital’, they’re starting their exploration from the top-left quadrant. They’re talking about how social, mobile and cloud technologies in particular affect the workplace and the ways that employees engage with each other and with the broader organisation/corporation. When Marketing leaders talk about ‘doing digital’, they’re starting their exploration from the top-right quadrant. They’re talking about how social, mobile, cloud, and analytics technologies are changing how the organisation needs to create experiences and engage differently with customers (other leaders may also be thinking about implications for partner and supplier engagement, too). 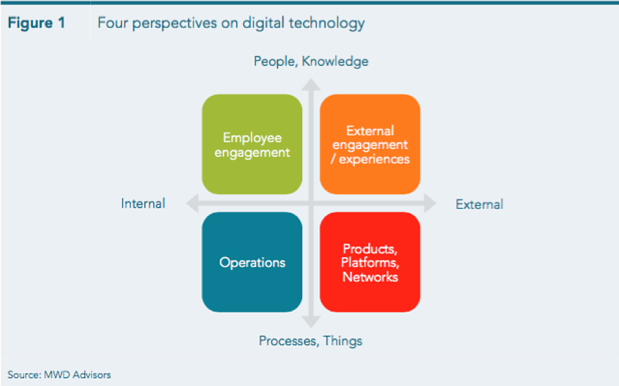 When Operational leaders talk about ‘doing digital’, they’re starting their exploration from the bottom-left quadrant. They’re thinking about how digital technologies can help the organisation co-ordinate internal processes and ‘things’ to create ‘digital operations’ capabilities. Strategists tend to start their work in the bottom-right quadrant of figure 1. They explore the realm of Uber, Airbnb, Upwork, Zopa, open innovation networks, and so on. These people are tasked with looking at digitally-powered strategies for new products and changes to business models. When organizations need to change the way they handle digital opportunities and threats, they must look at new approaches to finding the best opportunities, and adopting agile approaches for taking ideas into reality. 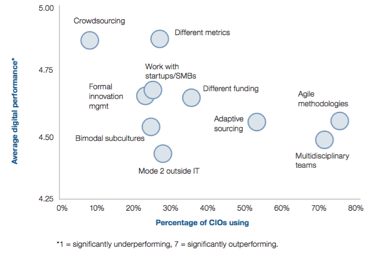 Testing, validating, and iterating in real-world scenarios becomes a key ingredient. Innovation management programs can support this process very well, and at large scale, both with internal audiences, and external ones. By providing a structured and scalable way for ideas to be rapidly prototyped, enabling and supporting experimentation in parallel, across the organisation, and by teams of people who have come together purely behind the strength of an idea they collectively support, the concept of change becomes a process that unites staff, customers, partners to improve the business, to accelerate its growth, or achieve whatever goals underpin its strategy. During his career, which also included a longer stay at HYPE, Tim has been working in the product development as in the marketing sector. With a background in software development, Tim has worked in the Innovation Management space for over a decade, working on software and services solutions that support the innovation initiatives of some of the worlds largest organisations. Tim is passionate about how software can drive innovation results faster, better and more reliably.